Managers are an interesting breed. Their job security is virtually non-existent from the day they are hired, and they are second guessed on a regular basis. No matter what moves they make on the field, someone in the stands, on the team or in the front office will disagree with them. Like with most things in life, the cream of the crop usually rises to the top and Buck Showalter is no exception. Everywhere he has managed he has had some sort of measured success, but has never been able to make it all the way to the World Series. His most recent stop with the Baltimore Orioles to date has been without a doubt successful and will more than likely get him his ring. Today’s book takes a look at the methods, both on and off the field, that have brought the Orioles out of the basement of the A.L. East. Skipper Supreme takes the reader through a journey that Orioles fans are ecstatic that they have been able to be a part of. It shows how Buck Showalter’s people skills and feel for the game have rebuilt a franchise that was bottom feeding for a long time. Much like fans of the Pittsburgh Pirates, the people in Baltimore were desperate for some light at the end of Camden Yards and with Buck at the helm the finally got one. This book shows reader step by step how methodically Baltimore has re-built themselves into a serious contender. How through strong historical values, smart personnel moves and a little luck, this group of players have breathed life back into the city of Baltimore. The Orioles are the poster children for a good mix between old school baseball thinking and new school metrics. If you are a fan of the Orioles, this book is right up your alley. 99% of the book is about the O’s march back to respectability. If you are looking for a full-on autobiography on Buck Showalter you will be disappointed. They don’t in any detail touch on his time with the New York Yankees, Arizona Diamondbacks or Texas Rangers. They are mentioned in passing but nothing of great substance. This book is all Baltimore …..all the time. Considering the authors are both Baltimore writers I get the reasoning as to why the book is this way. It is their hometown civic pride shining through. The Orioles finally have a team worth talking about and they don’t want them getting lost in the story lines of the larger market teams. Buck Showalter should be highly commended for his turnaround of that franchise and the authors do a very nice job of giving him and his players the credit they deserve. 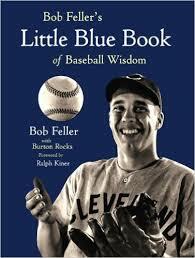 Orioles fans will enjoy their time spent reading this book, without question. Now next, I would like to see someone write a true Buck Showalter biography and give us some more details about the Skipper Supreme. I will admit that I am not an easy person to impress. I can spot flaws in a lot of things, and usually it is about something that most people would never give a second thought to. Call me picky, difficult or any number of adjectives, you have to work pretty hard to make me go wow. I have looked at books from Insight Editions on this blog before, and they made me go wow. They now have another book out that is making me have the same reaction……..again! The Baltimore Orioles were created from the charred remains of the St. Louis Browns for the 1954 season. A legacy left behind in St Louis of ineptness and failure, the Baltimore Orioles hoped that a new beginning would bring forth success and happier times. Welcomed by the fans of Baltimore, the Orioles embarked on a love affair with the city that has created remarkable memories and seen some pretty great players pass through that town. 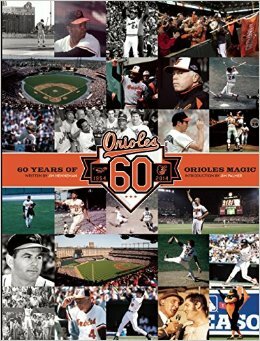 Insight Editions has published a new book that marks the 60th anniversary of the Orioles coming to Baltimore. Author Jim Henneman walks you through the rich history that has been created in Baltimore along with some monumental moments in baseball history. It takes a journey starting in 1954 with manager Jimmy Dykes, and brings you to the present, visiting with superstars such as Brooks and Frank Robinson, Reggie Jackson, Jim Palmer, Eddie Murray and some other fellow named Ripken. 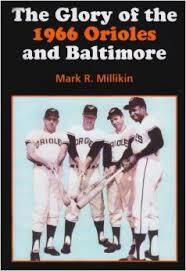 The book is broken into several era’s of Orioles history and shows what unfolded in each decade. From World Series triumphs, through the changing of the guard on the field at the end of each era, you get a complete look at the Orioles history in Baltimore. You also get some incredible pictures of Cal Ripken Jr’s breaking of Lou Gehrig’s record in 1996. How many of us, when we think of the Orioles reflect back on that moment? Through a couple of ball parks, a few generations of employees, players and a few thousand games, you get the complete picture of what the Orioles have accomplished in Baltimore, and also get a feel as to what they mean to the fans in Baltimore. As with the other baseball team books that Insight Editions has produced, they have made this one a pop-up book for adults. By that I mean, they have included folders in the book with postcards of special moments in Orioles history, ticket stubs from World Series games, actual copies of letters from fans and a few other cool surprises. They really out-do themselves with these types of books and this one does not disappoint in any way. Orioles fans should check this out to re-live some of the great moments in Baltimore Orioles history. Non-Orioles fans should also check it out because it gives a very valuable history lesson of the franchise that has produced some great players and even greater memories for us all. One of the beautiful things about baseball is it allows you to become a time traveler. You can pick any point in time over the last 150 years or so, and you will find a baseball book that will transport you there. World Series champions have always been a popular place for time travelers. You can pick your favorite team and move yourself back to a time when you were 7 years old, or even go to a point when you were not even alive. These books give you a chance to witness history, or possibly relive your youth. Baltimore Orioles now have a great point in time to travel to with today’s book. Author Mark Millikin has fired up the time machine to transport the readers to the glorious year of 1966. That year, Baltimore came out on top of the world. The freshly reloaded Baltimore Orioles and their new star player Frank Robinson, were taking the town by storm. That addition of Robinson alone pushed the Orioles to the forefront of the American League. The very player that the Cincinnati Reds thought was past his prime and on the decline, gave the Orioles that extra spark they need to reach the top of baseball. This book takes a very thorough look at the 1966 Orioles. Through interviews with former players, sportswriters and fans it shows how popular that team was in the city of Baltimore. The team that had a few future Hall of Famers on the roster, produced out on the field at a level that made the fans of Baltimore proud. Playing at a torrid pace all season long, they propelled themselves to the top of the standings and never really looked back. Teams like this always hold a special place in the hearts of their fans. For whatever reasons each fan has, they are the team they always remember. It was Baltimore’s first major success with the Orioles since they arrived in 1954, and made the fans dedication to their team stronger and of course, worth it in the end. Frank Robinson really was that final piece the Orioles needed to reach immortality. While the Orioles reached the World Series in a few of the years beyond 1966, fans never will forget their first true love……the Orioles of 1966 that swept the Dodgers. Orioles fans will love this book. The details are amazing and the stories are entertaining. Fans of all teams should enjoy it as well, because if you didn’t live through it first hand it becomes a great history lesson for those that missed it. Being New Years Day, one tends to look back at the past. Sometimes it is the past year one reflects on, and for others you may want to reflect back on something over 50 years ago. In baseball history we have many seasons we get the chance to reflect on and honestly, I think that there are so many it makes it hard to choose. Todays book takes a look at one of those spectacular seasons for a team that is almost forgotten due to the success of their team in subsequent years. The 1961 Reds on paper looked to be nothing spectacular. A mix of aging veterans and young up and comers were not expected to make any real noise on the field. Playing in an antiquated ball park and dealing with the death of their owner just days before the start of the season, things were not looking great for the team. But little did the fans of Cincinnati and the world of baseball know, this was going to be their year. Mark Schmetzer takes readers on a journey through that great 1961 season. You see it from beginning to end, starting with the off-season and spring training, you see the pieces assembled that made up this team. Players that were brought in to fill holes became vital pieces in the success on the field. The book also takes you through each month of the season, showing the highs and lows of a grueling seven month season. Player injuries, slumps, and hot streaks are all contained in the book. It gives you a great look at team struggles and chemistry, that add up to make a successful team. There are tons of never before seen pictures in this book that add to the feeling that you are witnessing this team at a level higher than just a book. You also get to re-live the disappointment of the 1961 World Series at the hands of the New York Yankees. While it may not be a great event that their fans want to re-live, it gives a very comprehensive account of events on the field. I often have felt this team gets overlooked in the annals of history. Primarily because of the multi-year success of the Cincinnati Reds Big Red Machine. When people think of the Reds success they automatically gravitate towards the teams of the Big Red Machine. Perhaps because it was their first year of success in such a long period of time, but it does seem that sometimes they just are plain old forgotten. The author has done a great job of making sure this team never gets forgotten. All fans should enjoy this book. 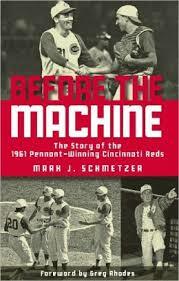 It does a nice job of covering the history of the team and that magical season in Cincinnati. Also, books like this are important because they make sure certain teams and pieces of history, do not fall through the cracks of time. It makes sure these teams are remembered for all future generations of fans to appreciate and enjoy.